Last day of November sneak peeks! Last day of sneak peeks here....today we are going to show you what kits we have been working on! Have you been drooling over that new Basic Grey Jovial Christmas paper? Well, I have, it is just so yummy! I had to make a card kit out of some of it! The center oval comes blank so you can stamp whatever you would like in this space! The card kit can be used in two directions: horizontally as shown above or vertically as shown below...just fold a little of your rectangle under the side and you have a card that will work for either direction of your image! Here is a new kit for us....a little box kit! You will recieve supplies to make 3 of these little boxes in your kit....and you get to design your own box with stamps you already have, or purchase some of the ones that we have sampled! 3 Front embellishment pieces cut and ready for you to stamp! Go to our store kit section now! These little boxes and cards are just adorable aren't they? Make sure to stock up on some of them and get started on your Christmas cards and packaging early! P.S. Stay tuned for a late November release of some new ink pads and embellishments....coming November 9th! Next to the last day of sneak peeks before the shopping therapy begins! This set coordinates perfectly with our Designer Label Dies - Set of 3....you are just going to love it! When you purchase our dies, we know that is an investment for you. So we plan on making your new investment more and more valuable....by creating new stamps to go with your dies! Next month, we will be introducing another new die set, so keep your eyes open! Here is another cute little stamp that works perfectly with your die set! Below I used a standard 1 1/2 to 1 5/8 circle punch to create an inset for my die tag! So quick and easy! ﻿See you tomorrow for the last day of sneak peeks! Day two of sneak peeks.....let's get started! Who remembers our 5th Anniversary set Everyday Jar-Gon Clear Acrylic Stamp? We decided that it would be nice to have a few more jars and a few more things to put in our jars....most of the parts are interchangeable....so if you have the Everyday Jar-gon it will be a good way to freshen up an old set while adding a new set to your collection! This rooster is so fun to color up! Roosters can be just about any color, so pull out your favorite coloring medium and just have some fun! Trudy will have a coloring tutorial for you on the 12th of November, so make sure to make it over to our blog on that day for some inspiration! This candle is not just for Christmas, but all winter long! Simple to color and stunning when done, you are sure to love this little set when added to your collection! Candy made up some cute little 3d projects with this set! Pair this little saying with the above The Light of Winter Set, and you have a wonderful Christian card perfect for any card ministry! 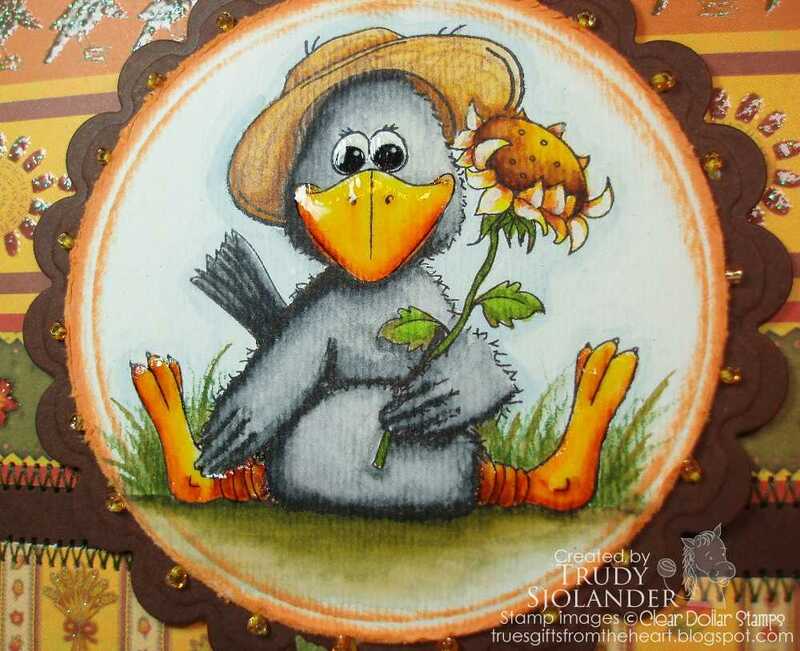 Our stamp of the month is so adorable for November! Our design team did an exceptional job bringing this stamp set to life! 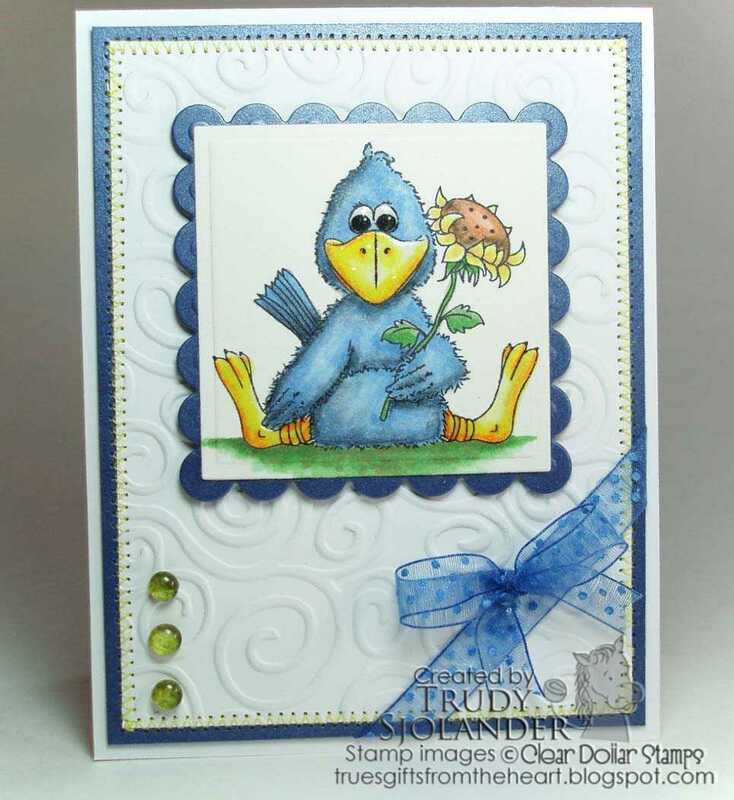 PLUS, this stamp of the month is 3x4 instead of 2x4! You can still earn it for the same order amount, $50! Woo-hoo! We also have a special surprise with some patterns to make overalls and aprons to match this set....so cute! We have done something new for you this month! Laurie designed a little overalls and apron template for you! You download the template, cut it out and look at the adorable little cards you can make! I think this quote is so true and it fit perfectly with our stamp of the month! Day 1 of November sneak peeks! I just love when the sneak peeks begin and we can show you what we have been working on all month....so exciting! So let's get going! This little set is just perfect to lift someone's spirits that are down from being sick! Whether adult or child, they are going to love their get well cards they receive with this set! One of our design team members even made a little tissue box holder with this set! Check out the samples! Perfect as the focal point of your card or paired with a floral image, Get Well Critter, or embellishments, these scriptures are perfect to claim for healing as you are praying! This verse has really been a blessing in my life. It really helps to remember that all the conflicts that we come up against are truly more than what we can see in the physical realm. I also use verse five as a way to get my thoughts under control when they are going someplace they shouldn't! I just start chanting it...it works! Digi Challenge For Fun with a Prize or Two or Three!!!! We decided to give this Digi Challange a post all its own. How about something fun for you and us! We love seeing what YOU do with CDS digis, so to celebrate your creativity, a FREE Digi or maybe even TWO or THREE are up for grabs. You have all month (until next DIGI release) to create something with a CDS DIGI plain or pre-colored and a random winner or TWO *wink* will be chosen to receive a FREE DIGI or TWO or THREE... we fly by the seat of our pants here! CLICK HERE to check out the beautiful and affordable digital images at the store. 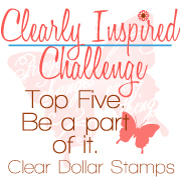 There is even a FREEBIE IMAGE and while you are at it, enter that into our Clearly Inspired Challenge that is going on right now! Have fun and post some links with Mr. Linky of your projects! We love seeing what you have done! 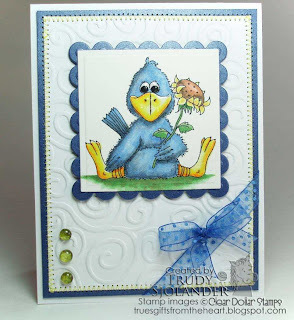 October Digi Day at Clear Dollar Stamps! First, we have one of our colored digi images. This one was my request of Laurie because I am a home room mom for my oldest daughter this year! I love the kids, but I didn't really want to color 40 bats and pumpkins (if you do for one child you have to do for both :-)). She colored these little bats and pumpkins from the * Year Round Bitties Clear Acrylic Stamps (which would be cute used in conjunction)....and I just love them! Perfect to use for every fall party you can think of! First, I made up some little treat box labels with my Designer Label Dies - Set of 3. Aren't they just adorable? With the plastic placement guides for the die set, you can get your images cut out perfectly every time! The little box is a new project in the works...all I will say is that Cricut users are going to love it! I decided after I had the boxes made that I needed some placemats for the kids....and some balloons to match! Note on the balloon images: I used helium for these balloons. You will need to make the image smaller and on plain copy paper for the balloon to still float. It floated a little at this size on cardstock, but it would be much better smaller and on lighter paper. I will be taking the balloon bats to cut out tonight at gymnastics....woo-hoo....something to do! This little flower is so simple and pretty....if you are a flower lover, this is the perfect winter flower for you to play with this fall and winter! I think all of you are going to love Trudy's little teapots! They are each so different and just waiting for your creative touch! This little set is so cute and quippy, quick and easy to color and create cards that are sure to bring a smile to your loved one's face. A must have for your collection! I just love this little digi set! 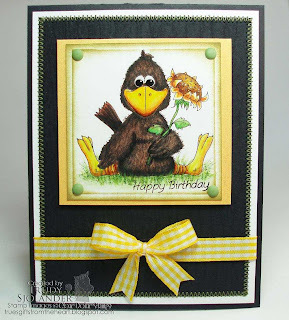 The scarecrow is perfect for scrapbook pages and perfect in a digi for sizing just how you want it. Do you have pumpkin patch pictures? How cute are the pumpkins with the little kitty peeking from behind? 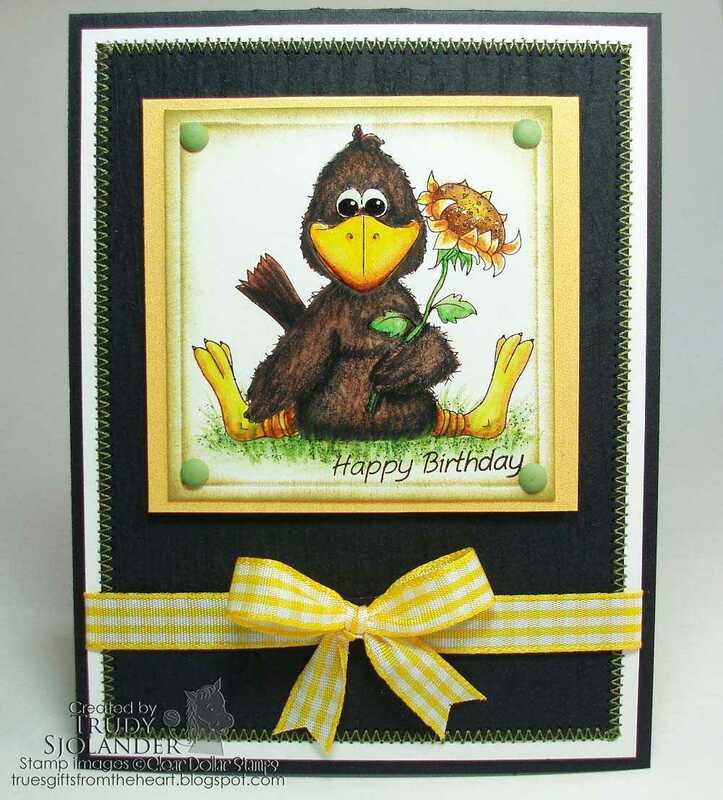 Don't forget a little 6x6 card to your loved ones easily slips into a mini scrapbook! This little scene is a perfect image to use your flock, flower soft, or stickles to embellish this season! This little scene colors up so quick and easy....pair any of your favorite sayings with this set for a nice winter card! Well, now it is time to let you go and grab your favorite images from our store! Digi day is so exciting because you get to have the images in your hands now, now, now!